The motorcycle accident that claimed the life of a Pinellas County Sheriff’s Deputy inspired a local group of riders to speak out in an effort to raise awareness about the scope of motorcycle accident problems in our state. The deputy was killed when a car turned directly into his path, giving him no time to avoid striking the car broadside. The group claims that these types of accidents are far too common, and Orlando motorcycle accident attorney James O. Cunningham completely agrees with them. 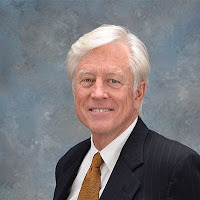 Since he began practicing law in 1977, he has assisted countless riders injured in accidents where a driver has violated the right of way by pulling out in front of a rider. Jim Gladstone, president of West Coast ABATE of Florida, a motorcycle safety organization, spoke for his organization recently, stating that Florida riders have had enough. He said, "I hear the same stories over and over. The driver made a left hand turn, and a motorcyclist was coming the opposite direction." On the day of the accident, Pinellas County Sheriff’s Deputy Jason Shoulta was riding his motorcycle while off-duty on Seven Springs Boulevard in Pasco County. According to accident investigators with the Florida Highway Patrol, Shoulta was riding his motorcycle when a driver turned into his path to drive into a gas station, cutting off and fatally injuring the deputy. Sheriff Bob Gualtieri is the victim’s supervisor and shares Gladstone’s sense of frustration and anger at the loss. "There is no sense that can be made of such a tragedy and no words that can make this easier on anyone," he said in a statement. In 2010, 396 riders were killed in Florida motorcycle accidents, and many thousands were hospitalized with severe injuries. When drivers violate riders’ rights of way, victims and their families can hold them liable for damages. If you or a close family member has been injured in a motorcycle accident and you would like to speak with an experienced Orlando personal injury lawyer, call Mr. Cunningham today at 888-425-2004 to schedule a free consultation.